"Number 1 in our Best in Travel Awards 2012"
"The 2nd best Coastal Destination in the World"
"A World Class Walking Destination where you can now circle the entire country on foot "
Wales has charged into the new Millennium, fuelled by devolution, self government and reborn pride. From the Manic Street Preachers to the Millennium Stadium, from celebrating the words of Dylan Thomas to restoring the great Castles of the past. 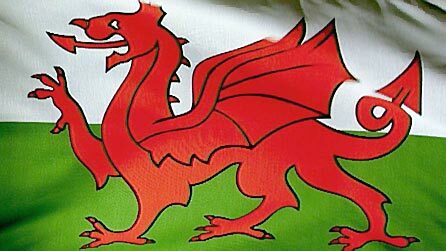 The Y Ddraig Goch - Red Dragon flags flutter everywhere in a resurgent wind of Welsh self confidence and cultural pride - quite simply for the visitor, there has never been a better time to be walking Wales ! The population of Wales is only around 3 million and ¾ of its people are densely concentrated around Cardiff and Swansea in its South East Corner. 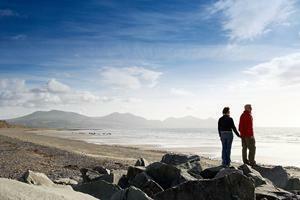 For the walker, the rest of Wales is a place of great space, a sense of freedom, under big skies and remote Mountains. Walking in Wales gives the chance to reconnect with the natural world, free from the crowds, and without the disappointments of mass tourism and heaving populations. Wales holds no less than Three National Parks, linked by a network of long distance footpaths that now includes the Welsh Coast Path, the longest and most dramatic National Trail in the UK. 2012 saw the opening of this route covering every mile of the Welsh Coastline and The Welsh Coast Path now joins the best of the Worlds Walking Paths as one part of the International Appalachian Trail. Within Wales, it links to the Offa’s Dyke National Trail giving a complete 1000 mile walking route around this nations borders. This is a unique concept and one the Worlds Walking Community are flocking to experience, confirming that Wales has now become a world class walking destination. 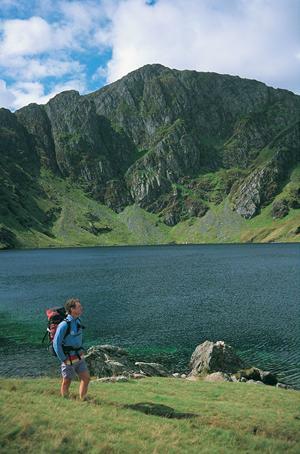 It is the incredible diversity of walking in Wales that attracts walkers, with trails through everything from the high peaks and mountains of Snowdonia, to the wild beauty of the Atlantic Coastline. From the mind blowing expanses of remote moorlands, to deep forested trails that track some of the UK’s longest and most immense rivers from their mountainous source all the way to the ocean. 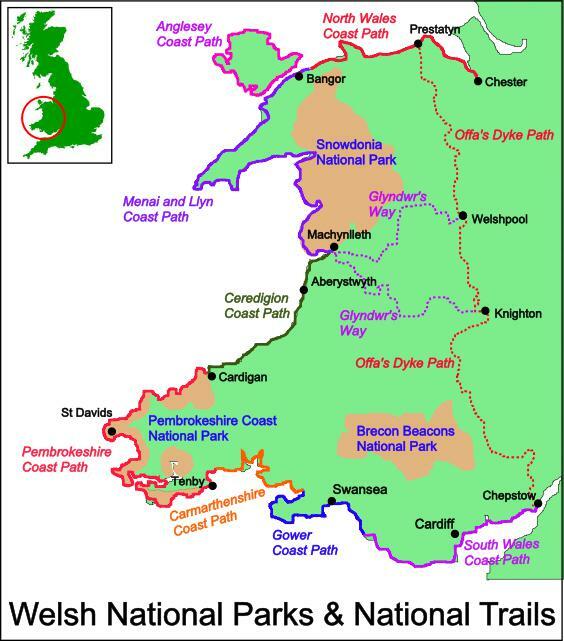 See below for our map of the main walking routes in Wales. 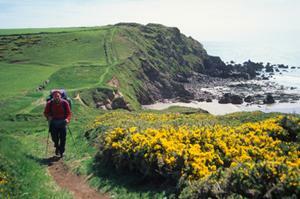 We will be gradually adding walking holidays on all sections of the Welsh Coast Path over the next few years. 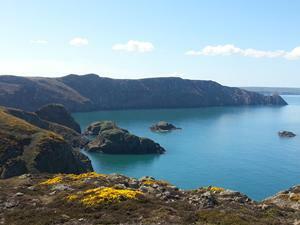 Meanwhile, follow the links to find out about our current walking options on The Pembrokeshire Coast Path, the first and best loved Welsh National Trail and the inspiration for The full Welsh Coast Path that has followed in its success.